When we think of seaside promenade attractions, such as fortune-telling, palm-reading and so forth, we tend to imagine stripey booths and bead curtains. I’ve recently been cataloguing a series of pamphlets written and published by the Ellis family, who advertised themselves as phrenologists and publishers (but who dabbled in a great deal more than that), and had impressive premises on the promenade in Blackpool. Each family member specialised in their own particular skill: Frank in physiognomy, Albert in graphology and phrenology, Ida in palmistry, crystal gazing, automatic writing and psychometry. 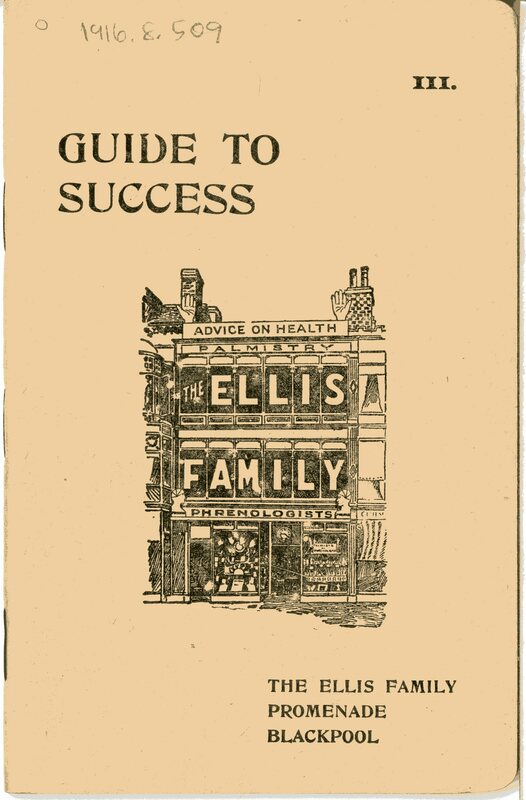 When customers consulted the Ellis family they would receive a booklet described as a “chart,” published by the Ellises themselves, packed full of information, with blank spaces in which a personal reading would be inscribed, with appropriate advice. Even babies could be taken to a consultation and have their own chart filled in with their potential characteristics, personality, skills and so forth. I can’t help thinking that anyone diagnosed in this category would feel pretty hard done by, parting with ready cash only to be told they were vulgar and inferior. The Ellis family obviously didn’t pull their punches; perhaps such brutal truths bestowed an air of authenticity on their readings. Good idea to let your clients know that you keep up with the latest research in your field, there’s nothing so reassuring as a commitment to professional development in health practitioners. In other words, anything could happen. The allusion to science is a canny ploy by the Ellis family – phrenology occupied a curious position in the public imagination during the late 19th and early 20th centuries, peddled on the one hand by fairground quacks, while being the subject of genuine academic research by respected thinkers on the other. Significant British phrenologists included the Scottish brothers George and Andrew Combe, who established the Phrenological Society of Edinburgh in 1820. This group included such well-respected luminaries as the publisher/author Robert Chambers, the astronomer John Pringle Nichol, the botanist Hewett Cottrell Watson and psychiatrist and asylum reformer William A.F. Browne (who took part in debates at the Plinian Society, of which Charles Darwin was a member). However, phrenology enjoyed a chequered career as a serious academic discipline, was rejected by the British Association for the Advancement of Science, and was eventually designated a pseudoscience. We may scoff at the Ellis family’s methods, but aren’t they just cashing in on that enduring human need – to be listened to? Clients could enjoy the time and undivided attention of Albert, Ida or Frank at a consultation. What, after all, are psychiatrists and counsellors, if not people who will listen and dispense advice, for a price? And a much higher price than the Ellis family’s fees. Perhaps we should see the Ellis family as the poor man’s psychoanalysts, the working class alternative to the psychiatrist’s couch?People then, as now, were hungry for the promise of self-improvement, success, personal happiness. and fulfilment. As for Albert, Ida and Frank, the bumps on their heads would surely have denoted sharp business brains. It feels a bit like booking with a certain budget airline, reading Ellis family booklets – you’re forever coming across extra charges. I can’t help wondering what the ingredients of Transferine were. No doubt the entrepreneurial Ellises concocted it themselves in a back room of their headquarters. In other words, look out, any other “mental scientists” out there, and make sure you don’t impinge on the Ellis family turf. As it’s now December and 2011 will soon be drawing to a close, many people will start to think about resolutions and aspirations for the year to come. 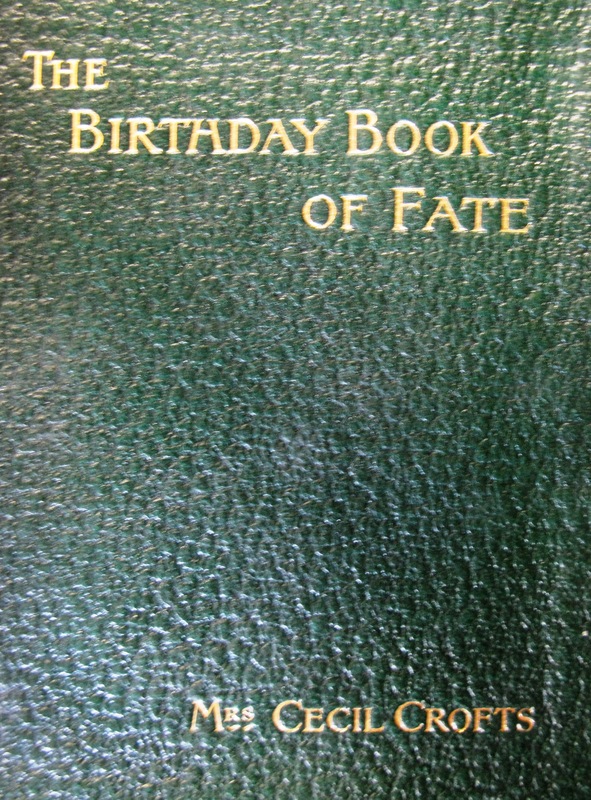 But if we are to believe the predictions of Mrs Cecil Crofts in her book The Birthday Book of Fate (class mark 1916.6.266) then we may as well forget about any good intentions we may have, as Mrs Crofts asserts that our fate is decided by our birthday. And her fortune-telling motto seems to have been: you have to be cruel to be kind. We have all kinds of fortune-telling books in the Tower collection, but this one in particular captured our attention for its dramatic boldness and lack of positive spin as is popular in modern fortune telling, where we are always told that great things will happen to us. In the Tower Project office some of us were left quite perturbed by our predicted fate, whilst others could sit back and take it easy as Mrs Croft had predicted wonderful things for them! As we read each other’s fortune aloud there were a few gasps of dismay when we heard what was in store for us, not to mention quite a few laughs. The full description of one’s fate proved just as intriguing. Apparently I lead “a very irregular life, in private such a one will be a “law unto himself”” and “would succeed best in a foreign land”. That really made my day. A colleague was similarly disappointed with their fortune, although it does describe their job role of cataloguing books rather accurately: “You will only excel in copying or perfecting the work, views, ideas, or dress of others.” Although none of us took the predictions particularly seriously, they do crop up in conversation from time to time, so we haven’t quite forgotten them. And at least if things start to look a bit rough I could always go and try my luck in a foreign land. Are those born on March 23 destined to a life of loneliness? Dare to dream? You probably shouldn't. Oh dear, would you even want to know if this were your fate? This book really is worth a look, and we all amused ourselves looking up family and loved ones’ fates. 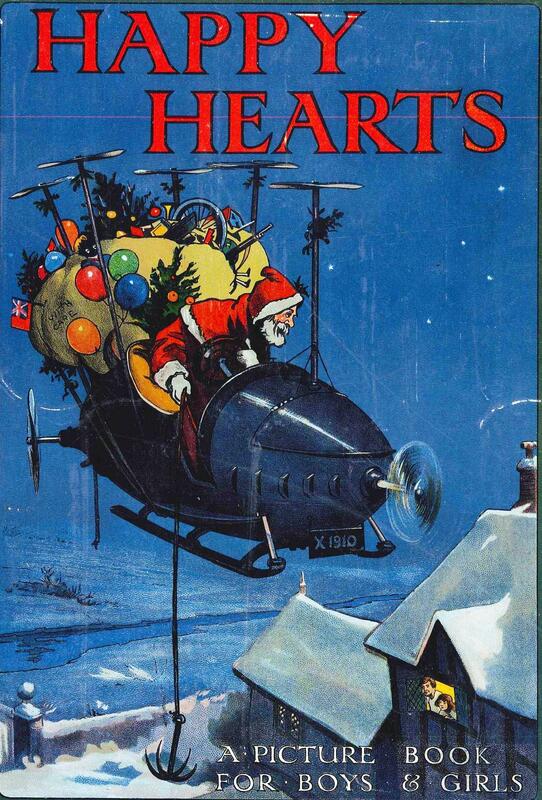 I certainly intend to spoil a few friends’ Christmases by writing their fortune in their Christmas card! 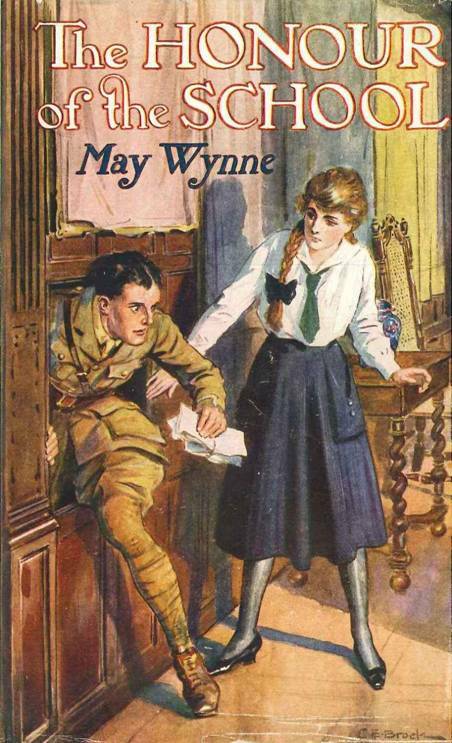 May Wynne’s “The honour of the school” published in 1918, has one of the most curious dustjackets I’ve ever seen. Who wouldn’t want to take this book off the shelf to find out what happens? The story begins traditionally with a new girl arriving at Polgrath school, which is housed in an old manor house on the Cornish coast, providing an exciting setting of wild sea, rugged cliffs, and smugglers’ caves. The war intrudes mainly during meals: weak tea, no sugar and “war bread” which is unpopular. But the war is only the background to the real adventures: before a fortnight has passed the girls have been trapped in a smugglers’ cave and blown up a woodshed when practising chemical experiments. After a single morning recovering with her Latin grammar the heroine manages to fall down a cliff, and is rescued by a young man in khaki, who has come from Canada “to fight the Germans”, his ship has been torpedoed and he has swum ashore. Beat that. Still wondering why the hero has been hiding behind the panelling in the picture gallery? I wouldn’t dream of spoiling the surprise ending. Read it and find out!